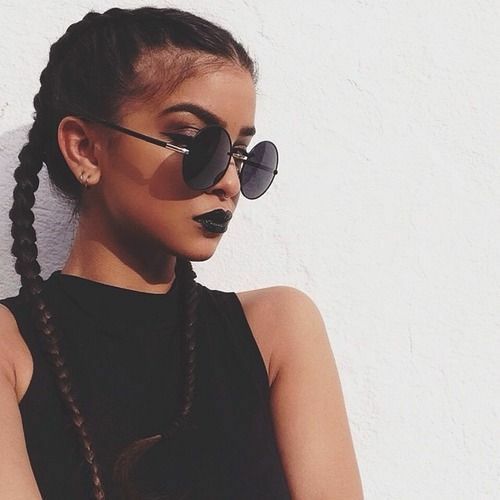 AKA CORNROWS - HAIRSTYLE IDEAS TO TRY. The hair trend for bold braids and romantic plaits is still going strong this season. The Double dutch braid aka cornrows works for pretty much very occasion and is super easy to style. 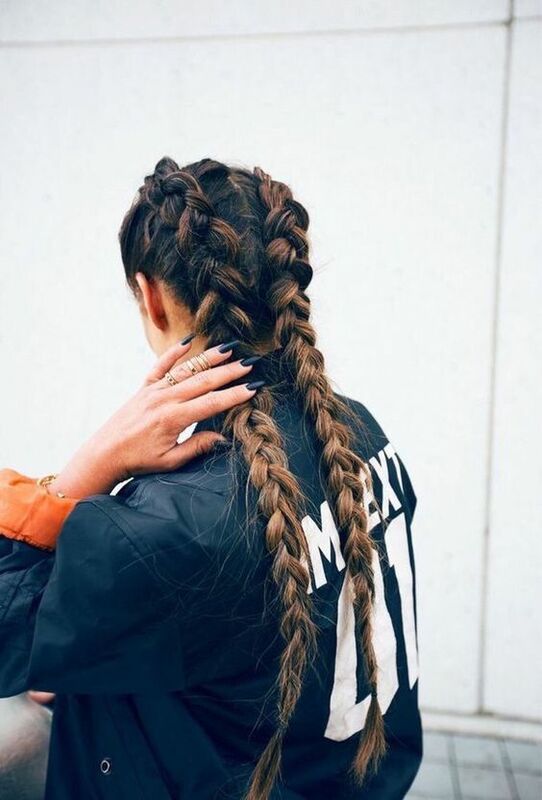 Double dutch braids obviously aren't a new thing, they are fundamentally a variation on cornrows. 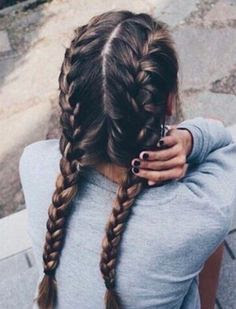 The difference, as explained by Chocolate hair Vanilla Care is that dutch braids pick hair up from the outside, whereas cornrows add hair to just the middle section of the braid. 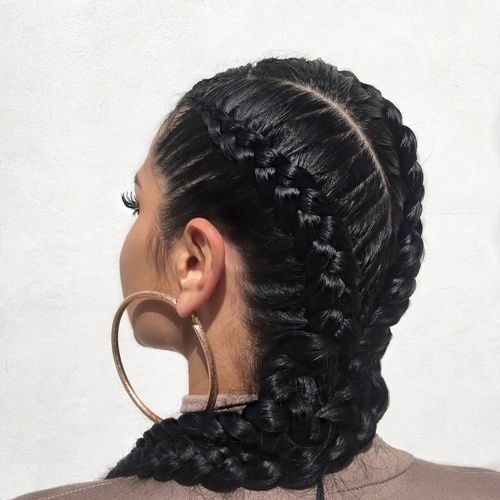 They follow this same principle and are taking over the beauty industry with celebs including Kim Kardashian (For the record, she is not the first chick to rock cornrows.) Kylie Jenner and Ruby Rose all wearing the rend on the streets and the red carpet. 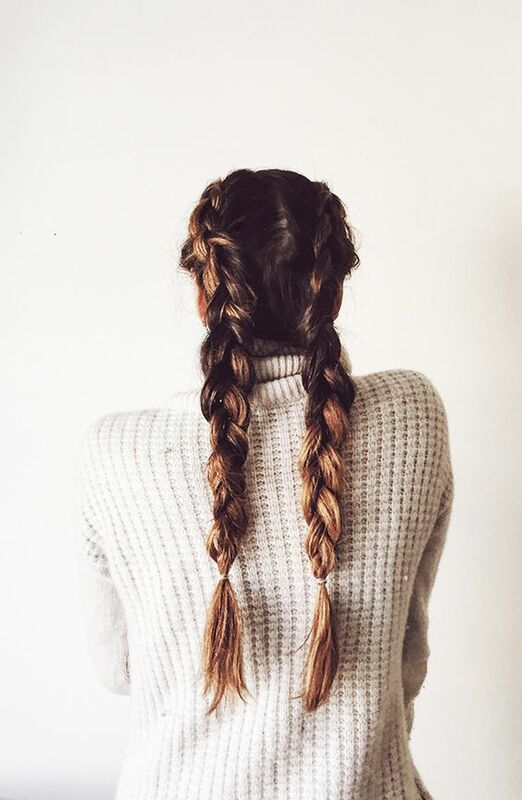 The great thing about these braids is their no-muss no-fuss attitude towards hair styling. 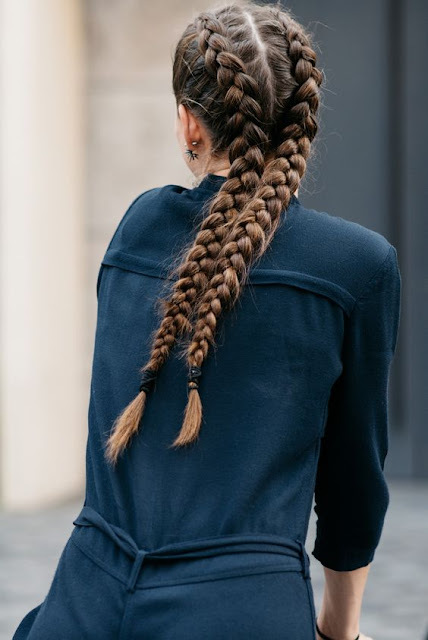 This hairstyle is great for people who have frizzy hair or for anybody with second day hair that you just don't want to wash but still want to look presentable! 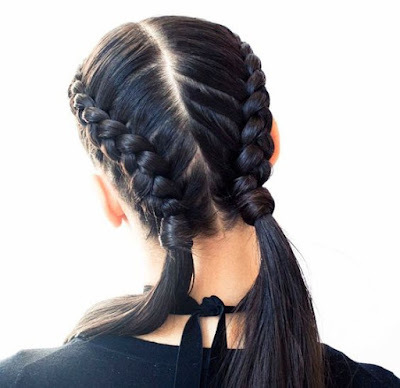 These braids give you a nice sleek, polished look! 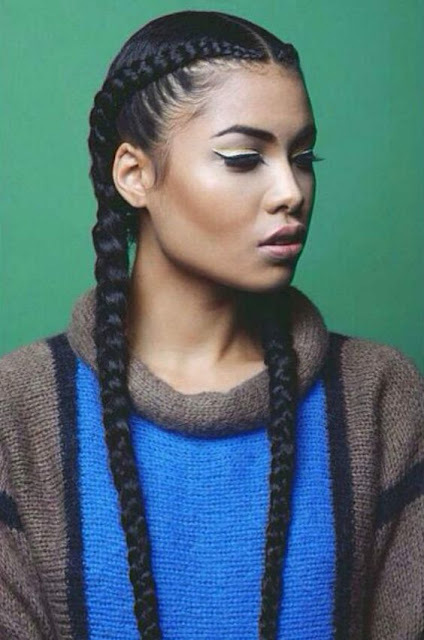 To achieve these double dutch braids / cornrows you should practice, practice, practice! Or even ask for a little help from a friend. 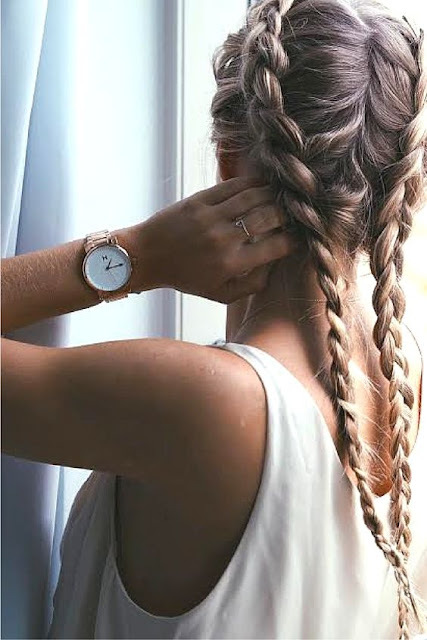 YouTube is great for hair tutorials so it might be beneficial to have a look at dutch braid tutorials or you can view one here. It is absolutely FIERCE! I think this is the ultimate confidence hairstyle. What do you think of this look? will you be trying them out? how do you wear them?